I have HP ink cartridges 337 and 343. Are they going to work in my Deskjet printer F2480? 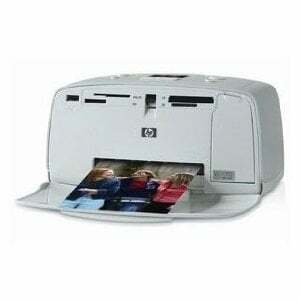 I have an HP Photosmart C4180 All-in-One printer-scanner-copier. The black cartridges are 337, and the colour ones are 343. Do you have these? When I put '337' in the appropriate box it came up as a colour cartridge, so I'm not sure it's the right one for my printer. Photosmart 337 or HP 337 ink cartridge? You can't argue with the HP 337 for its crystal clear printouts. Ultimately your HP 337 will run low on printer ink, and when it finally happens you'll quickly realise that purchasing HP 337 ink is generally quite expensive. You do not need to get worried about paying the steep asking prices you'll discover on the main street because right here at Cartridge Save you can order all the HP 337 cartridges you will ever need at very low prices. Start to save money on your ink by shopping online with Cartridge Save! Don't pay high prices on the 337 original cartridge or 337 compatible ink in the high street when it is far more easy to save a bunch of cash ordering online with Cartridge Save. Get perfect peace of mind when ordering PhotoSmart 337 ink cartridges from us as they are all underwritten by a hassle-free money back guarantee. Don't forget that every single order also has free delivery, generally arriving on your doorstep on the next working day! Another member of HP's 330 series, the HP Photosmart 337 allows users to print photos anywhere using a portable and compact device. It produces 4x6 inch photos in no time, and can print directly from a PictBridge-enabled camera or a memory card. Images can be previewed using the small colour display, as well as from a PC using a USB cable. The HP Photosmart 337 is a good portable photo printer, although it only prints small formats and uses just one tri-colour ink tank. The HP Photosmart 337 is a solid device with the photos coming out of the front slot and the card readers neatly line up along the front top edge. The control buttons sit nicely on the surface, bordering the small display where photos can be viewed before printing. The HP Photosmart 337 also has a port for connecting to PictBridge compatible cameras. The HP Photosmart 337 prints at a rate of 1 photo per 45 seconds, at best. This makes it the ideal instant photo printer for those who want to keep their vacation memories alive. it is also portable, weighing less than 3 pounds, and comes with a 7ml cartridge with a fair yield. The HP Photosmart 337 is a dedicated photo printer, although it is limited to printing 4x6 pictures. It also uses just one tri-colour ink tank, which can cause prints to lose quality. An alternative black cartridge can be purchased for printing monochrome pictures.